Many accidents are caused by vehicles leaving their intended lane, either gradually owing to inattentiveness on the part of the driver, or suddenly, where a bend has been misjudged, for example. Lane departure can lead to serious accidents with obstacles or oncoming traffic. EMERGENCY LANE KEEPING CAN STOP YOUR CAR FROM RUNNING OFF THE ROAD. 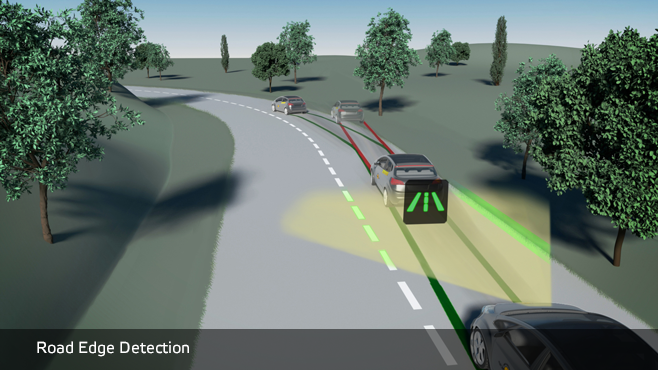 Lane Keep Assist (LKA) systems help to correct the course of a vehicle that is gradually veering out of its lane. 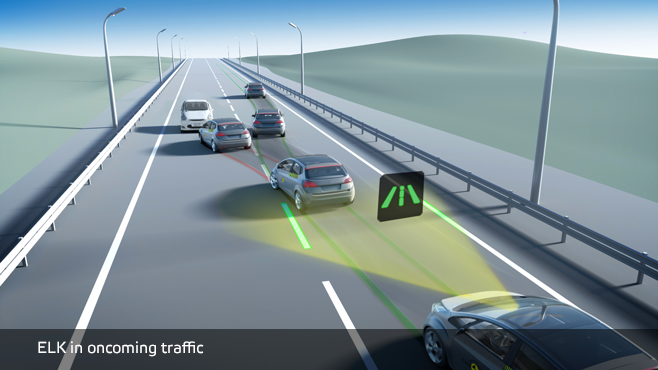 Often, a warning is given to try to get the driver to correct the path of the vehicle but these systems will also apply a small amount of steering to stop the vehicle from leaving its lane. Emergency Lane Keeping (ELK) systems intervene much more aggressively, only when a critical situation is detected. For example, ELK will apply a large steering input if it senses that a car is about to run off the road. 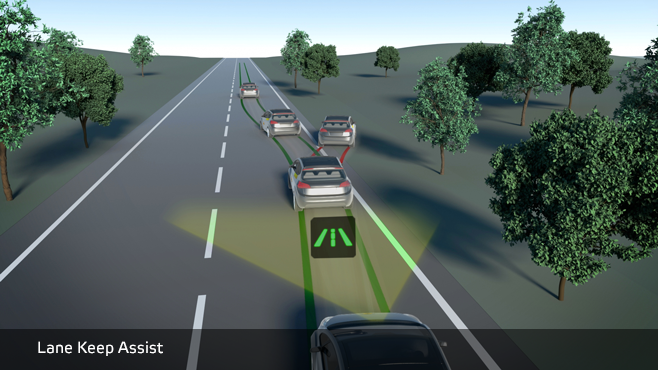 Euro NCAP rewards LKA and ELK systems, based on a standard set of tests performed on a test track. Both types of system are tested against various types of road-markings, including solid lines and dashed lines, and in situations where the road edge is not marked by a line. The performance is evaluated by considering the proximity of the vehicle to the edge of a lane marking or road edge at the time of intervention. 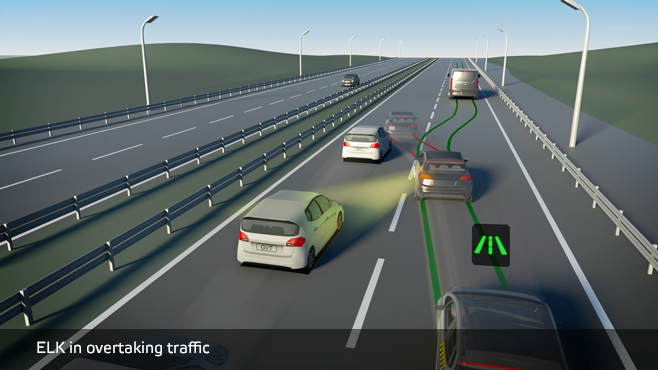 Additional points are awarded to cars equipped with a Lane Departure Warning system and a Blind Spot Monitoring system.